Cricket have evolved so much in the last decade and with the introduction of T20 cricket fans get to watch fast paced matches of highest standards more frequently than the past. 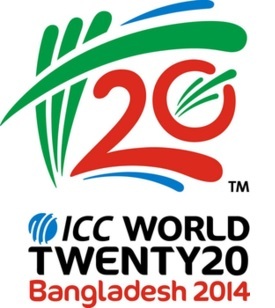 The next edition of the Twenty20 World Cup will held in Bangladesh and there are some major changes in the formate of the most exciting cricket event in the world, we will discuss at length of next world cup which will held in and around March – April in 2014. The ICC will have a qualifier event for the ICC World T20 2014, which will be played in UAE in October 2013 where 16 teams are expected to take part and top 6 will join the 10 full ICC memeber teams in next year’s World Cup. With 16 teams participating in the next years World Cup we will have 4 groups of 4 teams each, and every team in the group will play three matches and the top 2 from every group will make it to the Quarterfinals and than the Semifinals and Final. Bangladesh is not a big country and there will only be 4 cities who will host around 35 matches in the competition in the span of 23 days. The four cities and stadiums are as follow. Bangladesh might lose their right to host the ICC Cricket T20 World Cup next year, according to ICC they are not happy with the developments in the Bangladesh and that they orgnization of the event is not up to the mark. Although they will give a couple of more months to bangladesh to change things around. Sri Lanka and South Africa are the reserved places for hosting the next year event in case Bangladesh are unable to meet the standards..